Orders normally ship in about 45 business day. 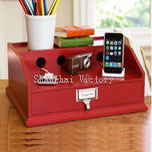 After your order ships you will receive tracking information and instructions on how to track your order. Please provide a valid email address to ensure tracking delivery. Usually, we accept a 20FCL as MOQ, if you need a small volume to test the market, please communicate with us! a. 30% deposit beofe production, 70% upon the faxed copy of the B/L. b. Irrevocable Letter of Credit at sight. We are a direct manufacturer / factory and also an exporter with more than 40 years of production experience, which is invested by Taiwanese. As a manufacturer & factory, we maintain high quality standards under the ISO9001(2000version) system. For the fastest service possible, please send us an email. You are guaranteed a response within 2 days(Monday - Friday). Visit our Contact Us page for additional information. Copyright　©　2001-2016　Shanghai Victory Office Stationery Co., Ltd, All Rights Reserved.